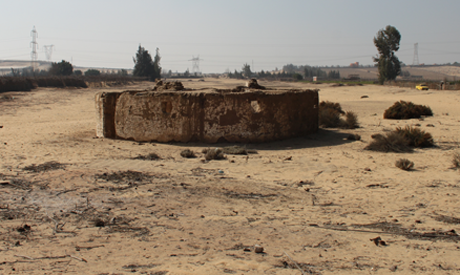 During the recent archaeological season which ends in April, the mission of the Egypt Exploration Society uncovered new scientific evidence revealing that the borders of the major Neolithic settlement site of Merimde Beni Salama on the western margin of the Delta, extends a further 200 metres to the south-west. Joanne Rowland, head of the mission, explained that they started the work to know about such extensions in the summer of 2014, after test trenches had been dug by the ministry of antiquities prior to the laying of a gas pipeline. It was then possible to examine the area just to the west of the modern asphalt road and it was also confirmed by the ministry investigations, as well as in test trenches worked on by the the current mission, that ceramics of the Neolithic era were present. “This means that the settlement extents at least 200m south-west of what was formerly considered to be the boundary of the settlement,” Rowland told Ahram Online. She continued to say that the forthcoming investigations and post-excavation analysis would be able to confirm whether this newly discovered area was occupied during the latest periods of occupation of the settlement as anticipated, or whether it is from earlier times. Rowland and her team will reconsider the site within its wider geographic and environmental context. Minister of Antiquities Mamdouh Eldamaty said that the team also unearthed a collection of ceramics and lithics of Neolithic dates and that more investigations will present much information about the various roads and means of living during this era. 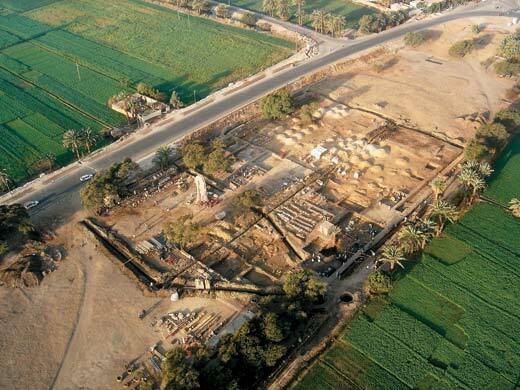 Merimde Beni Salama is a major Neolithic settlement site on the western margin of the Delta, about 60km north-west of Cairo. The site is the largest and earliest known evidence of settlement in the Nile Valley or Delta region and has been given the name ‘Merimde’, which is the phase of Lower Egyptian Predynastic culture. It was found in 1928 by German archaeologist Herman Junker who excavated the site throughout 1939. Through carbon dating, the site was occupied between 4880BC and 4250BC. Unfortunately, most of Junker’s notes were destroyed in World War II. Eiwanger has conducted more recent studies. The earliest level is characterised by a wide range of polished and unpolished untemper pottery decorated with a herringbone design. The Middle Merimde level shows complex structures of wood and basketwork, straw-tempered pottery and many burials. Flint tools inserted into wooden, bone and ivory handles were also found. The later level of the Classic Merimde, considered the period of occupation, is when the settlement consisted of a large village of mud huts and workspaces in organised groups of buildings laid out in streets. The high level of organisation in the villages, indicated by numerous subterranean silos or granaries, lined with basketware and used to store grain, are probably associated with individual dwellings. The suggestion is that by the later phases the population consisted of economically independent family groups in a formalised village life. That isn't the area of Merimde Beni Salama, it is the back part of the Kom el-Hettan, the mortuary temple of Amenhotep III in Luxor! !